Dust off your Stranger Things costumes and get ready because we’ve got tons of local gatherings where you can put that to good use! Celebrating Halloween in Huntsville has never been easier with this list of local special events! To get the full 411 about all that is happening in and around the Tennessee Valley this fall including information on Fall Break Camps, Trick/Trunk or Treating options, Pumpkin Patches, Hayrides, and more why not mosey on over to the full 2018 Fall Activity Guide. Then be sure to share the scoop with your friends so you’ll see familiar faces when you are out and about this fall season. Do you know of a Halloween event we missed? 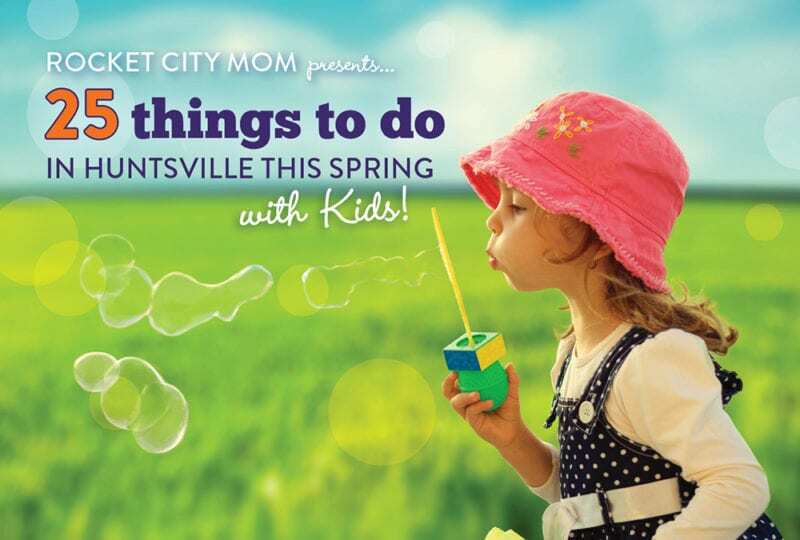 We’d love to add it, just send us a note at info@rocketcitymom.com and be sure to include the information listed here (e.g. Date/Time, Cost, URL, Location). Tours begin in front of historic Harrison Brothers Hardware store which is also where you purchase your tickets. There are both walking and trolley tours, and while no one jumps out at you, it is after all a ghost walk – so be mindful of how easily your little ones might be scared! Every Saturday in October, take a guided tour through Decatur’s haunted past. Hear stories from the Civil War, a tragic accidental death, the angry ghost of Simp McGhee, and much more. Perhaps someone from the past is watching you! Tours begin on the steps of the Old State Bank on Bank Street, with tickets (cash only) available 30 minutes beforehand. In celebration of Halloween, Athens-Limestone County Tourism is offering haunted walking tours next month giving visitors and locals a chance to explore the town by night. Held every Tuesday and Thursday night in October, the Athens Haunts Walk takes guests on a spooky 90 minute walking tour that uncovers paranormal activity, ghoulish legends and hauntings in the historic downtown area. During Athens Haunts Walk, experienced and entertaining tour guides tell spooky stories of paranormal activity at 13 local structures. Now in its twelfth year, Athens Haunts Walk is suitable for adults and children in grades 4th and up. Get into the spirit of the season with Halloween ALIVE, an entertaining and educational live animal program presented by the Alabama 4-H Science School that features raptors, reptiles, and amphibians. A concession stand will offer snacks and you’ll have an opportunity to get your picture taken with one of the ALIVE creatures following the show. Bring your blankets and lawn chairs and settle in for an exciting event! Grab your flashlight and join us for a family night hike through the Garden’s Scarecrow Trail and BOOtterfly House. Listen for bullfrogs, crickets, owls, and other nighttime critters and keep an eye out for fun surprises along the way. Warm cider and a snack will be provided. Based on ghost stories told to the author as a child by his grandparents–and they’re all TRUE! (In one way or another.) Chances are you’ve never heard these stories before! 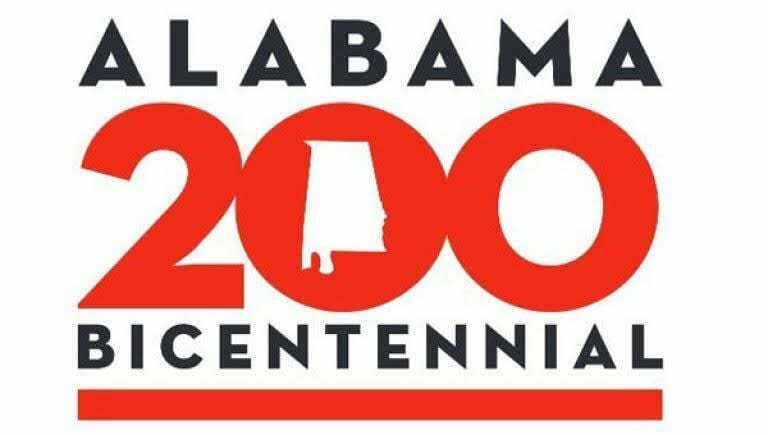 Take a trip back in time to celebrate family and folklore in Alabama! Physical and chemical reactions create the world around us. Explore how these reactions play an important part in the making of s’mores. Each ingredient has a chemical makeup, and each work together to yield the final product. Afterwards, enjoy our scientific achievements with gooey delicious s’mores! Join us for a special edition of Saturday Scientist, which is a children’s series typically held on the second Saturday of each month at 11:30 a.m. for the Saturday Scientist series, an educational series featuring activities recommended for ages 6-9. Reserve your seat at the main ticket desk upon your arrival. Museum members may enter the Davidson Center for Space Exploration. The 4th annual Bark’s and Boo’s event hosted by Petz Pack and Rocket 95.1 is a fundraiser for Huntsville/Madison Relay for life. All proceeds from the event support this chapter of the American Cancer Society. Free to attend, pay to p lay! There will be multiple Halloween costume contests at this dog-friendly event, dog-centered games, vendors and entertainment galore. This event will be haunted by cute dogs and scary costumes. Bring your pup dressed up and ready to compete in the cutest, scariest and best overall costume contests! While you are there, come participate in the treat stacking competition, doggy cake walk, bobbing for hot dogs and the cute trick station. We will have multiple prizes and giveaways. See you there! The Halloween edition of Second Saturday at Merchants Walk features special offers, live music, photobooth, holiday fun, special guests, and more! Saturday, October 13th will have a Halloween theme with live music from Aaron Bradley. Visitors are welcome to wear their costumes as there will be treats available. We will see you there! Let your kids’ creativity free with a Jr. Face Off Competition! The stage and tables for the Face Off will be located on the lower level in Center Court, where winners will receive awesome plastic trophies and gift cards to Halloween Express Huntsville! Details and participation instructions are posted at the end of the event. While the Face Off is going on, enjoy the work of special effects professional makeup artist, John Harris. He will be on stage creating a masterful look. John will be giving tips and tricks while teaching you how to bring your special effects makeup dreams to reality. Learn how to look like a zombie, ghost and goblin! If you are interested in participating in the Jr. Face Off Competition, please post within the event on our Facebook event page. You will receive a message from Parkway Place if you have been selected for the competition! Enter if you dare!! Hop aboard our haunted hayride through our freaky forest. This horrific hayride is sure to send chills down your back. Age 13 and under must be accompanied by an adult or have permission from an adult. Roast marshmallows and tell your favorite ghost stories as you hang out around our fire pit! You don’t want to miss this family fun event that is bigger than ever! There will be hands-on activities, an Astronomy Van with 3D show, Janet’s Planet show (PBS), the Science Magic Show with Dr. Osborne, and a live science show with Dr. Bon & the Science Guys. You also don’t want to miss face painting and lots of telescopes that will be on hand from the Von Braun Astronomical Society! The movie will begin at dusk on the large inflatable movie screen. The Maple Hill Cemetery event has grown to be one of the largest living history strolls in the nation, with over 75 costumed characters, traditional music, special exhibits, an expanded antique auto display, and student scavenger hunts. There will be at least a dozen new characters featured this year. Not all are buried in Maple Hill, but they are essential in accurately reflecting the history of Huntsville. Some of the music will accompany character portrayals. Exhibits will highlight fascinating cemetery history and recent restoration projects. Look for the antique autos in a chronological procession in the southern end of the cemetery. Water and rest facilities will be provided, as well as a parking shuttle from the downtown courthouse square from 1-5 p.m. Metered parking spaces and municipal garages downtown are free to the public on Sunday. No pets, please! Bring your own pumpkin and we’ll supply the rest! We will have glue, buttons, googley eyes and other 3D materials in addition to paint for this fun class for all ages! Our artist will assist you with your ideas and execution. Join us at Lowe Mill ARTS & Entertainment for Witches Day! Don’t know Witches Day is? No worries, it’s exactly what it sounds like— a day for all the witches to dress up in their fancy and fabulous garb and hang out at Huntsville’s premiere arts and entertainment facility. Put on your costumes and join us for Halloween games, crafts, and of course safe Trick or Treating at the EarlyWorks Children’s Museum! Be sure to bring your trick or treating bags and enjoy safe Halloween fun for all ages! Games and crafts are included in admission. Concessions will be an additional charge. This event is non-refundable. There are a limited number of tickets available so be sure to get them early! Doctor Osborn is bringing his annual bag of Halloween tricks and treats back to the Fantasy Arts Center in October! This is family fun (balloons! magic! comedy!) for all ages. Costumes are encouraged. ‘Halloween Fright Flicks’ will be a triple feature scary picture show on as many screens scattered across the grounds of Lowe Mill ARTS & Entertainment. The east dock is the main attraction and will be ‘drive-in movie’ ready. Sit on the lawn to get spooky or park your ride and watch in horror! Tune your car radios to hear the film just like the good ole’ days at the drive-in. If the outside flick doesn’t satisfy your blood lust, venture around the grounds or inside the building to find a little something for the more gore savvy. Don’t venture too far into the shadows though, you may find things there that you can’t un-see… Parental Discretion Advised–Films Rated PG-13 to even worse! Get your costumes ready because BOOtanica is back! This spooktacular event is all about Halloween fun, with crafts, games, face painting, music, hayrides, and more. Visit the BOOtterfly House for trick or treating and join in the popular costume parade! Spooky fun event with your pets! Please join us for our annual Canine Carnival with a Halloween twist. All dogs must be up to date on vaccines as well as kept on a leash. Leashes will be provided if you do not have one. Melanie Felker from Huntsville Bat House Project will be at Lowe Mill A&E on October 27th to host two bat house building workshop sessions: the first at 1:00 PM and the second at 3:00 PM. Both workshops will be outside on the south side of the Mill. A donation of $20 is kindly requested to cover the cost of supplies. During the workshops you can participate in the silent auction of bat themed art made by Lowe Mill A&E artists. All proceeds will go the the Huntsville Bat House Project. Venture Crew 007 is hosting their 14th annual haunted house this Saturday from 6-9pm. The event is located at St. John’s school on Hughes Rd. Admission is $5 per person and children 4 and under are free. This event is family friendly! Please enter through the doors on the north side of the gym which is the first building when you pull onto the property. Parking is available above and below the gym. Put on your favorite Halloween Express Huntsville costume and come to Parkway for a Spooktacular Halloween Party! This family-friendly event will take place on the lower level throughout the mall! Our DJ and face painting will take place in center court. Enjoy pumpkin painting with Tate Farms and Creepy Cookie decorating with Great American Cookies at Parkway Place Mall, kids and their parents will get to compete in a fun Junior Face Off Competition to win a $50 Halloween Express Huntsville gift card! Enjoy character appearances with super heroes and princesses!. 500 candy bags will be handed out at the Customer Service desk! Bring the family and your 4-legged friends for a great day of fun at the 2nd Annual Howl-O-Ween with ZYP and Insanity Complex! 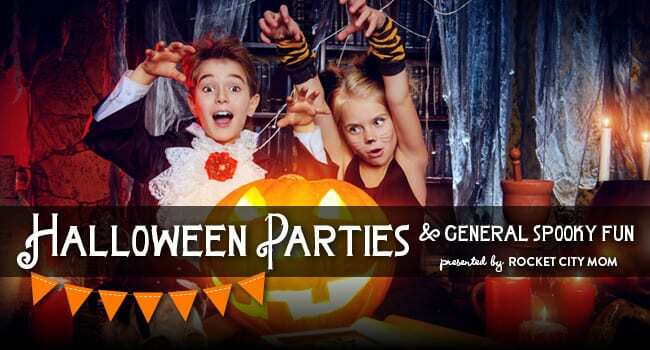 Games, music, Halloween Trick Or Treating, plus costume contests for Kids and for Pets, with great prizes, including tickets To Marvel Universe Live, Sesame Street Live, and Insanity Complex Prize Packs. There’s a $10 Costume Contest entry fee, or do both contests for $15! Proceeds from the event will benefit local area No Kill Animal Shelters. Tweens and teens ages 12-18 only, join us for the annual Magical Masquerade Ball at the Downtown Huntsville Library. Costumes are strongly encouraged! Students of magical schools (ahem) can convene to practice wand skills, dance floor decorum, enter a costume contest, try their hand at the first ever library escape room and of course battle for victory in another epic BYO nerf game. Security will be provided by the Huntsville Police Department. This lesson will take place at Big Spring Park by the Bunny art installation brought to you by Art’s Huntsville! Be sure to bring a blanket to sit on and we’ll provide the rest! Templates are pre-traced for our smallest painters. Painters are also welcome to add kitty, or bunny ears (or whatever other animal they would like to make) and change the colors. Aprons are provided, but please dress children in paint friendly clothing. This hike is for the dogs! The Humane Society of Greater Huntsville will bring along some adorable, costumed dogs ready for Halloween and a forever home. Take an adoptable dog on a test-hike or bring your own pup along in festive Halloween attire! Dog lovers and Land Trust Friends Matt and Kasey Powers will be your guide as we make our way to Alum Hollow’s beautiful waterfall. We do recommend long pants and comfortable shoes with good tread, bottled water, hiking sticks, trail snacks, and a camera to capture the experience! Dogs must be on leads. In case of rain, hikes will be canceled; Please verify cancellation on our Facebook Page. Join us Sunday, October 28, from 2-5 PM for the 1st Annual Lucky Dice Cafe Trunk or Treat and Spooky Bash. Bring your little ones for treats inside and out. Food will be served. Lucky Dice, in conjunction with Irreverent Geeks, will be hosting activity tables for the kids. They can make slime, their own paper polyhedral dice and spiders! Contest will be held for both Trunks and Costumes with trophies and prizes given out. Those in costume will receive a discount at the register. This year we would like to invite “ALL CREATURES” to walk with us! It doesn’t matter if you are a beauty or a beast, all monsters are invited to walk with the undead! So put on your favorite Halloween costume and join in the fun! What is a zombie walk, you ask… It’s where you and your friends get together and dress up like zombies. Together We walk downtown looking for BRAINS. If you would like to participate in this year’s Zombie Walk, please meet us at the Downtown Clinton Street Parking Garage at 2:00. Routes & directions will be given at this time. The Walk will start at 2:30. We are asking EACH participant to bring 1 item of cat or dog food. All food will be donated to A New Leash on Life! If you would like to view the walk, the outskirts of Big Spring Park will provide the best views. This is a family & kid friendly event! The Blossomwood Witches Ride (BWR) is a fun bike ride through the neighborhood of Blossomwood. Women dress up as witches, ride their brooms (bikes) and throw candy to the little monsters (kids) along the posted route. ALL children are welcome to come out and enjoy the free candy. Children are asked to be accompanied by an adult to safely walk on the sidewalks while the witches fly by. Although we do proudly carry the Blossomwood name (due to location), witches from anywhere are welcome to ride! Location: Route begins at Blossomwood Elementary (map); See full route here! Time to celebrate our favorite spooky holiday, Halloween! Join all of our lovely Village on Whitesburg tenants as we celebrate with goodies, live music, and special appearances by some of our favorite stars. This is a free event and open to our community. Feel free to stay for dinner at some of our favorite restaurants. Don’t forget your costume! Come dressed in your best costume and join us as the Rocket Center holds its fifth annual Halloween Spooky Space Spectacular. The fun-filled event takes place Wednesday, Oct. 31, in the Saturn V Hall and surrounding areas from 4 to 8 p.m. Activities include a costume contest, hands-on science activities and more. The Moon Shot, G-Force, and Lunar Lander simulators are also part of the fun, weather permitting. Halloween is here again, which means it’s time to trick-or-treat your library! Visit all 3 floors for some tasty treats and enjoy a scavenger hunt in Youth Services. PLUS…It’s a Halloween Spooktacular Puppet Show, featuring fun tales pulled from some of our favorite books, rhymes, and songs! Bring along the whole family to enjoy your Halloween treats and a show. The biggest trick or treating event of the year is happening at Insanity Complex! Trick or treating is from 5-8pm. The rest of the night is filled with costume contests sponsored by 104.3 WZYP, guess the number contest, monster mash freeze dance, pie eating contest, corn hole games, balloon scramble! Last year we had over 2000 kids. Let’s see how many we can get this year! Is Lowe Mill doing a trick or treating event this year? Is uah doing trunk or treat this year? I’m not sure – they haven’t sent us any info about it and they usually do.